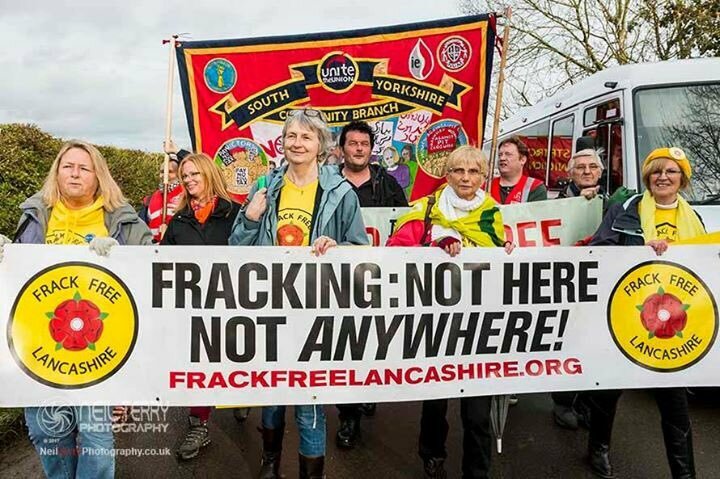 On the 11th of November, some 200 people gathered at the Cuadrilla fracking site near Preston New Road, Lancashire. As well as members of Campaign against Climate Change, representatives of Unite, PCS, UCU, National Education Union, Bakers Union & Unison were present. 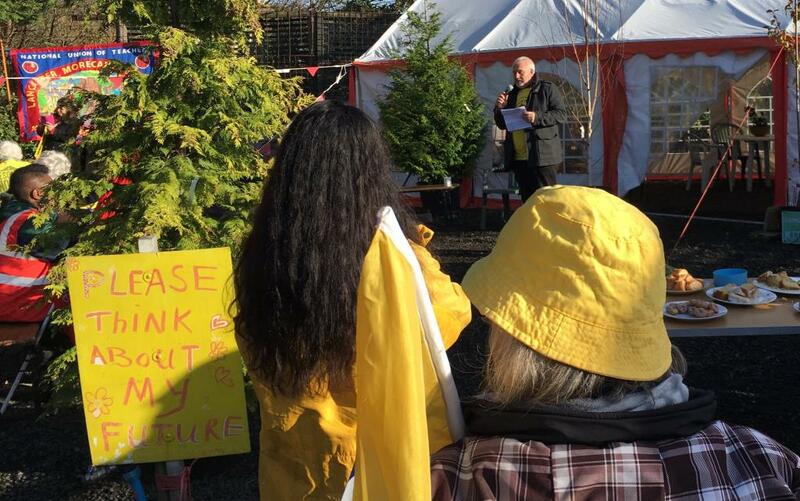 The local council's decision against fracking was overruled in October by communities and local government secretary Sajid Javid, of the Conservative party. Climate resistance is increasingly gaining importance among trade unions, as the fossil fuel industry fails to keep its promises about job creation and renewable energy drives demand for labour in the energy sector.